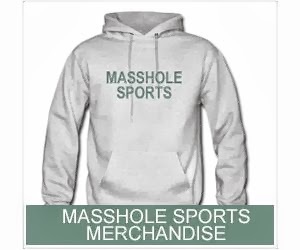 Masshole Sports: Belichick Says Patriots’ Long Term Goals Are “Within The Next 12 Hours.” Looks Like He's Back To Being The Bill We Know And Love. Belichick Says Patriots’ Long Term Goals Are “Within The Next 12 Hours.” Looks Like He's Back To Being The Bill We Know And Love. "Right now our goal is really just today. Go out there and take what we put in last night, what we talked about this morning. Back in this afternoon, make the corrections from this morning and then move on and start preparing for tomorrow. Our long term goals right now are, say, within the next 12 hours." 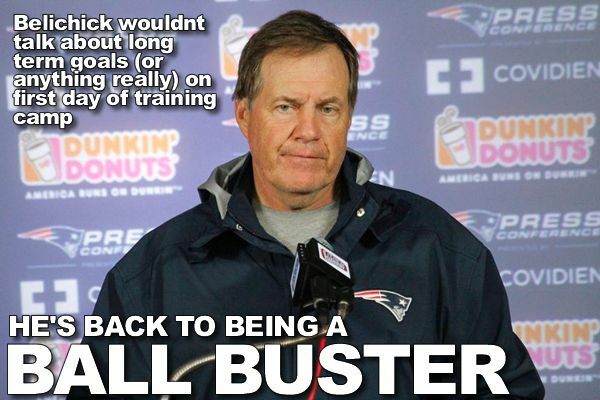 On the Patriots first day of training camp Bill Belichick wouldnt talk about the Patriots long term plans. He wouldnt talk about how he plans on filling the void left by Aaron Hernandez being in jail. He wouldn’t talk about what he plans to do if Rob Gronkowski isnt ready by Week 1. He wouldn’t talk about how he plans on using Tim Tebow. He basically isnt looking past the next 12 hours. So, I guess there’s nothing to talk about here.